Alongside tagging Atlantic salmon and brown trout one part of the project carried out by the SAMARCH team involves mapping out the type of habitat the fish are living in on certain long term river reaches. This work is continuum to a PhD project carried out by Jess Marsh. 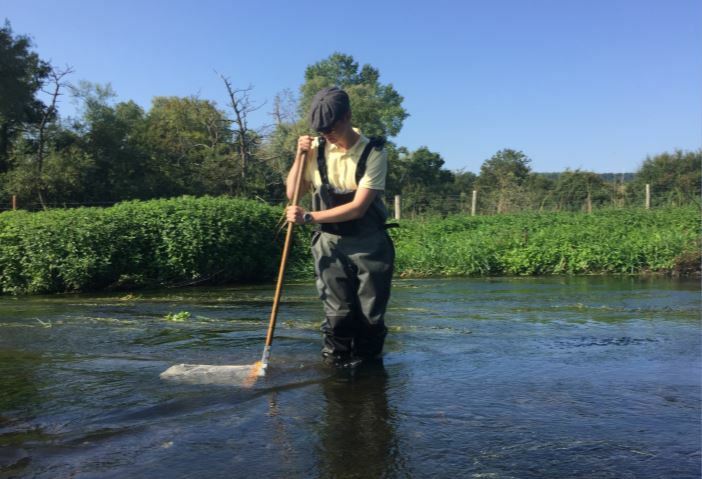 The aim of this work is to find out what kind of chalk stream habitats Atlantic salmon and brown trout parr prefer and how to manage the preferable habitats in the future. I did my placement in August-September time when the research team concentrates on tagging Atlantic salmon and brown trout parr. During the three 7-work-day weeks our goal was to tag 10,000 juvenile salmon and 3,000 juvenile brown trout and after 23 days the goal was reached. ”Good science is always repetitive.” This is something I definitely learned during my placement. Every working day included moving the electrofishing and fish tagging equipment onto the chosen site of the day and then setting the equipment up. 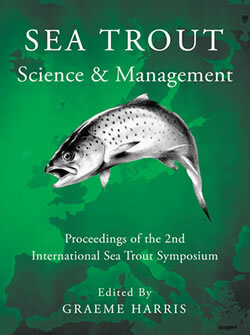 The team was divided into fishing and tagging groups so that the fish could be processed nonstop.